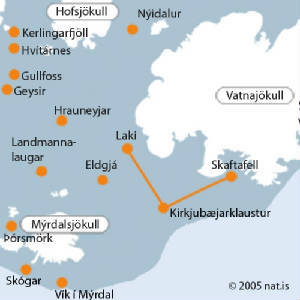 Map of Iceland showing Laki and volcanoes around it. 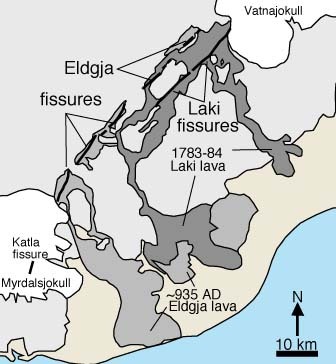 Map of Laki showing where the fissure runs. 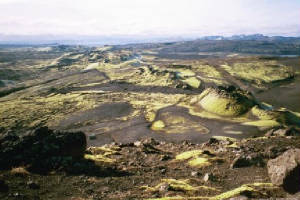 Craters near Laki formed by the lava of Laki. 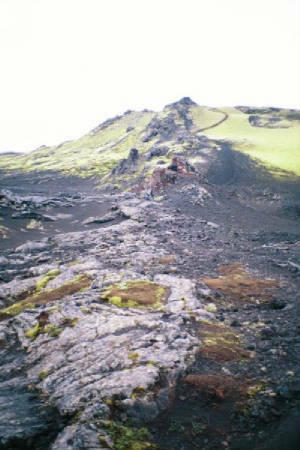 This is a picture showing the ridge of the fissure of mount Laki. 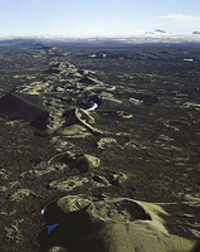 Above is a good picture that shows what Laki really looks like.